Well folks, summer is almost over and what have you done with it? If you’re anything like me, you had the best of intentions, but, well… life just gets in the way. 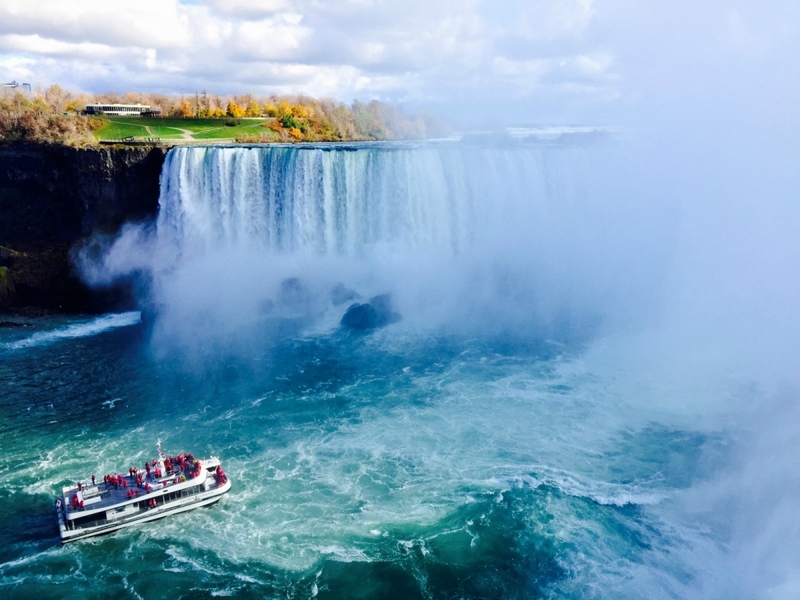 Intercontinental Hotels Group (IHG) recently did a survey which found that 6 in 10 Canadians have or plan to make a bucket list, and the majority seek out Canadian experiences. You’re not alone if you weren’t able to turn your summer bucket list into reality. Apparently 90% of us don’t, mainly because of financial limitations and work obligations. You know Alberta is prime dino land, but there’s so much more to explore than Drumheller and Dinosaur Provincial Park (lovely as it as). If you really want to do something unique, head North near Grand Prairie, where 73 million years ago, a flood trapped a herd of dinosaurs. Viola! It’s now one of the richest dinosaur bone beds ever discovered. You can see these awesomely preserved fossils at the Phillip J. Currie Dinosaur Museum in Wembley. Fun fact: Phillip J. Currie is the Canadian paleontology legend that inspired the character played by Sam Neill in Jurassic Park. It’s kind of crazy that in a country flush with bears, moose, elk and deer, the beaver is our national animal. What’s up with that? Have you even seen a beaver outside of a zoo? I haven’t. Apparently, they’re difficult to spot, but if you check out the 1.5 km Beaver Boardwalk in Hinton, you probably will. This boardwalk weaves through an active beaver dam and includes an observation tower over the beaver lodge. Saskatoon is having a bit of a moment. Here, you can discover 6,000 years of Indigenous Peoples history at Wanuskewin Heritage Park, a National Historic Site. Beyond the exhibits and artifacts, there are loads of trails throughout the 600-acre property. There’s even a medicine wheel as old as Stonehenge there! While in Saskatoon, I also recommend hitting up some of their numerous farm-to-table restaurants. Ayden Kitchen & Bar is a fave and I’m dying to try Little Grouse on the Prairie. In Moncton, New Brunswick there’s this quirky roadside attraction called Magnetic Hill. You put your car in neutral to roll it uphill. Though it seems to defy the laws of physics, it’s actually an illusion caused by the surrounding landscape and lack of a horizon. It gives the impression you’re being pulled uphill by some giant magnet, but actually, you’re gently rolling down. Your kids will be all, like, what just happened? Magnetic Hill is also super close to Magic Mountain, a tricked-out waterpark and the largest zoo in Atlantic Canada. To see the full list of 25 achievable, yet totally worth it IHG Canadian bucket list destinations, check out IHG.com. Raise your hand if you’d like to win two free nights at an IHG property. I know I would! This giveaway is super easy to enter. All you have to do is leave us a comment below and tell us what experience on this list you would like to do this year. That’s it! I’ve always been fascinated by magnetic hill since I was a kid. It’s definitely on my bucket list. I’ve wanted to check out the new dinosaur museum since it opened. I will definitely be taking my family to visit the Beaver Boardwalk before this summer is over. I definitely want to visit Horseshoe Falls again. Been there in 2012…it’s really breathtaking. specially the ferry ride where in you can feel the mist. A wonderful God’s creation! Despite living in Niagara-on-the-Lake I have never done the Horseshoe Falls tour – and it would be bucketlist worthy. So many great ideas on this list! But I have wanted to go to the Shakespeare Festival in Stratford for years. I guess it’s time to move that higher on the list! I Would love to visit Saskatoon! Saskatchewan is the only province I haven’t had the pleasure of visiting yet, and this experience would be a cool reason to go and visit! I love a good sandwich and I have always wanted to travel to Montreal to eat a smoked meat sandwich from Schwartz’s! We are so lucky, as Canada offers so many one in a kind experiences. I would love to experience the site and sounds of Horseshoe Falls. I just got married and my husband and I would love to take a honeymoon to cross the Capilano Suspension Bridge! Fingers crossed! I would love to try magnetic Hill with my son Jax Bailey this would be so much fun! I want to do dinosaur adventures in Alberta. It’s a childhood dream of mine. Would experience the Shakespeare Festival. Sounds like a nice getaway.